Yesterday the White House hosted a star-studded cast of recipients of the 2015 Presidential Medal of Freedom. Included on the list were some of the biggest names in sports and entertainment: Yogi Berra, Willie Mays, Emilio and Gloria Estefan, Itzhak Perlman, Stephen Sondheim, Steven Spielberg, Barbra Streisand and James Taylor. Also receiving the honor were some who had made their name in politics, like Lee Hamilton, Barbara Mikulski and the amazing Shirley Chisholm. But it is often the people who many of us have never heard of before that are the most inspiring. 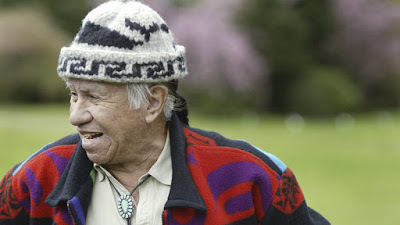 Like Billy Frank, Jr.
Born on a Nisqually reservation in Washington state, the Native American activist resisted state fishing regulations in the 1960s and early ’70s, arguing that the imposed laws violated 19th-century treaties signed between the U.S. and Native Americans. Frank was arrested numerous times, and his argument was eventually upheld by the Supreme Court in the mid-’70s. In the decades after, he continued to help lead efforts for Native Americans’ rights and environmental conservation in the Pacific Northwest — efforts for which he was recognized with the Albert Schweitzer Award and the Martin Luther King Jr. Distinguished Service Award for Humanitarian Achievement. A research mathematician for NASA in its earliest years, Johnson worked on projects such as calculations for interplanetary trajectories. Her calculations were behind the space flight of Alan Shepard — a first for America — and the Earth Resources Satellite. Throughout her career with NASA, Johnson helped pave a path for African-American women in the space program. She is 97. But perhaps the most poignant, given what is happening in this country right now, was the inclusion of Minoru Yasui. At the height of World War II, the U.S. government forcibly placed more than 100,000 Americans of Japanese descent in internment camps and pursued other discriminatory policies such as race-based curfews — out of fear that the Japanese-American population could prove a threat. 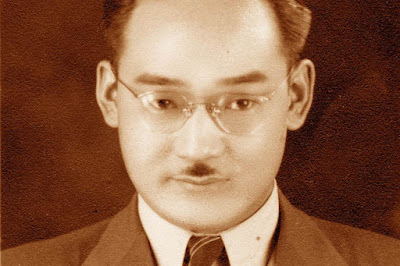 Minoru Yasui, then a recent law school graduate, violated the curfew in order to get his case heard in court. “I walked these two or three or four times, as I recall that evening, trying to get arrested,” Yasui said — and finally, he had to walk down to the local police department to turn himself in. This is a reminder that history tends to fondly remember those who refused to cower in fear – but had the courage to stand up for what is right when fear takes hold.